Here is a sampling of some HOT house-sits available around the world! Stay at a detached house with a pool and private garden. The house is located less than 10 minutes from the beach by car. The owners are looking for a pet lover to stay at their home and care for their cat and birds. This post is in the owner’s first language of French, please use the translate tool. The property is a duplex apartment on the ground floor. In it, you will be accompanied by two shy cats who need a lot of love and food. The owners also have birds who need their water changed every day and two aquariums. Stay at a one floor standalone home within a gated community and with three rooms. A cleaning service is arranged daily so your only tasks will be to care for the owner’s dog. Stay at a spacious home in the suburbs of Tokio and is surrounded by large beautiful parks and shrines. You are welcome to use the owner’s bikes to move around. Your companion is their cat who also needs love and food. Stay at a 3 bedroom detached comfortable bungalow with large garden and lovely rural walks on the doorstep. A cute dog and farm animals will depend on you to keep them fed and happy. Dates: Starts on June 27, 2019, and lasts 17 days. The owners are looking for a cat lover or couple to care for their one year cat. During this time you will stay in a two bedroom apartment in the countryside. You will need a car for this assignment. The owners are looking for an animal lover and a caring person or couple. All you need to do during this time is to care for the animals and to enjoy the area. Want to know why we LOVE this method of travel so much? 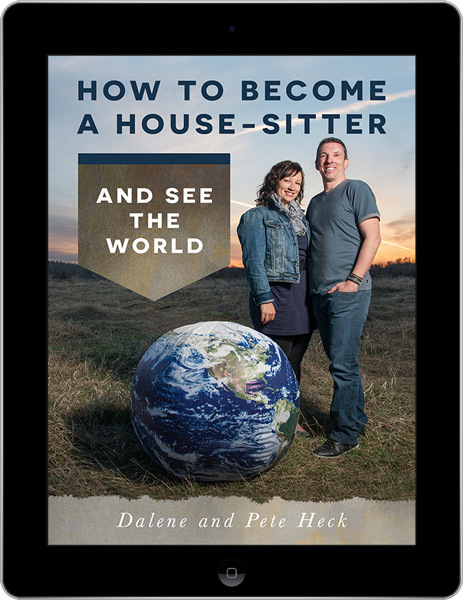 Then check out this collection of our best house sitting stories!